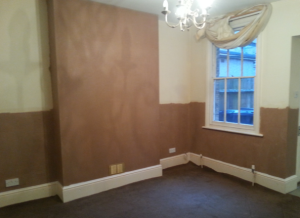 Kenwoods have just completed treatment for rising damp within an end of terrace home in Barnet. Following our client’s exchange of contracts on the home, Kenwood were called to carry out the treatment. Treatment for rising damp is carried out in stages; firstly the wall plaster is removed to reveal the bare brick work. 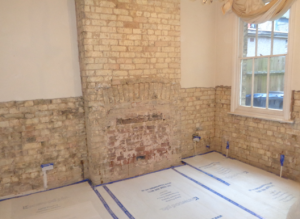 Our highly skilled operatives then inject a chemical damp proof course and re-render the brickwork. 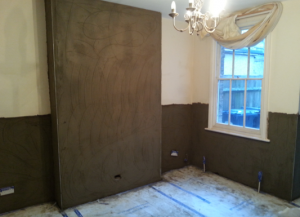 The final stage is the skim coat of plaster this provides a smooth surface to redecorate. With our works complete our client can move into their new family home.